against a surprisingly ill-informed source. Though I often found myself at odds with either establishment (often at the same time), I firmly respected both of them. I never felt disillusioned at Annapolis, or while on active duty. This came after resigning my commission, as I watched politicians send our nation’s finest young men and women to war in Iraq, and then proceed to bungle the war at great cost to our society…but that’s a different story. Professor Bruce Fleming’s opinion piece in the Chronicle of Higher Education didn’t strike a single chord with me. Maybe that’s not altogether true. Some (few) of his points bore validity to my life as a midshipman, but viewed from an outside context, after years of maturity in the “Fleet” and civilian life, his assertions and theories hold no water. As a 25 year professor of English at the United States Naval Academy, he has locked himself into the mindset of the “Perpetual Midshipman,” as my classmate very cleverly stated, and as such, is condemned to continue his masquerade. First, let me start with this. Professor Fleming’s article left a bad taste in my mouth, but not because he missed the mark about the overall academy experience and its value to our military. I was disappointed in the overall elitist tone of the article, and his repeated suggestion that accolades and academic performance (before and during school) are the measure of a successful Academy graduate. These may be the “window dressing” of a successful career in academia, but have little to do with the challenges faced by military officers in the real world. Furthermore, quantifying the impact of service academies on the quality of our military, in the interest of comparing them to other programs, is no easy task…and Professor Fleming doesn’t scratch the surface in his attempt. His opinions, based on misrepresented data and jilted “conversations” with a limited number of disgruntled midshipmen (and cadets), stands little serious scrutiny. 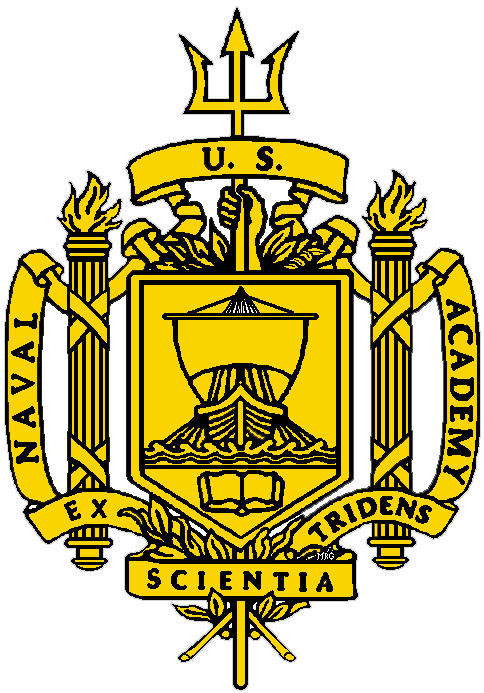 He starts out with what he considers to be a rational, numbers based approach to his premise that the academies produce the same results as other commissioning programs (which he neither proves nor disproves) and quickly degrades into an emotionally charged, purely opinion based treatise on what’s wrong with the United States Naval Academy. Our nation’s three-tier program for commissioning officers provides a well-rounded influx of new officers, from varied stages of life and backgrounds. Service academies and dedicated military colleges (VMI, Norwich, The Citadel) provide officers that made a significant, early commitment to the military, by living in that environment for four years. ROTC officers chose a balance between civilian college and military study. OCS candidates enter an abbreviated course to become officers, after completing college or professional training. The three-tier system is designed to provide this variety. Could the numbers change? Should we graduate more from ROTC and OCS, shifting away from the service academies to save money, but continuing to acquire officers from all three sources? This is the true debate, which Professor Fleming has bypassed in favor a passionate plea to modify the service academies to suit his mistaken notions of the real world our nation’s officers face. Below, you will find my point-by-point discussion of Professor Fleming’s comments. True, no data suggest or ever will exist to show this. It’s impossible to quantify, and attempting to do so with statistics is an exercise in futility. Furthermore, I never heard the word “ring-knocker” used in my eight years on active duty, by either an enlisted sailor/marine or officer. Rarely, did I hear the complaint that USNA officers came across as arrogant. This kind of complaint was typically applied to “officers” across all commissioning sources. The concept of “ring-knocker” style arrogance has long been purged from modern vernacular, and shows the beginning of Professor Fleming’s outdated notions and impressions of “The Fleet,” which are perpetuated throughout his article. The number of flag officers sourced from ROTC has drastically increased, by percentage, since 1972, across all service academies. This is a good trend for our military in general, but meaningless as a statistic defining comparative excellence, as Professor Fleming would suggest. However, if Professor Fleming is keen to throw out statistics, I’m happy to keep them accurately portrayed. For the United States Naval Academy, the picture is strikingly different. In the same study cited by Fleming, a subset of data showed that current flag ranks were sourced 65% by USNA graduates versus 19% for ROTC (and 16% for OCS). This is a statistically significant difference. Explainable? Not by traditional metrics, but Professor Fleming used his percentages to show that ROTC was “catching up,” and academy officers no longer showed an advantage. By his logic, the United States Naval Academy is superior in terms of flag rank achievement, and therefore superior in the quality of its graduates. I don’t agree with this, but it’s hard to argue with his logic, especially when it makes USNA graduates look that good. OCS is a fantastic option for a mature enlistee, who has spent significant time as a follower and a successful leader within the military structure. It is also a fantastic option for military officers headed into medical, legal and support specialties, where the intensive military training of a four-year program may not be necessary. The course teaches the basics of military discipline, customs, leadership, physical training and a variety of service related topics, in a closed environment. Still, I have never met a Navy OCS Line Officer (Surface, Aviation, Submarines, SEAL) during my time in the Navy. Every OCS officer was a doctor, lawyer, or a nurse (and a few others). My wife attended OCS as an attorney and would attest to this observation. For other services, OCS is different. The Army relies heavily on OCS, due to low officer retention (likely due to the two wars we’ve fought), to solve a short-term problem. For the Navy, OCS may not be a viable option to source a large quantity of line officers, which constitute the vast majority of commissioned positions. This is an interesting observation. I will be the first to admit, this was a hard pill to swallow as one of the “non-remedial” plebes, but his comment is deceptive. “Twenty-percent needs a remedial pre-college year.” Of that 20%, the vast majority are sent to highly ranked, prestigious prep schools in order to bring them up to speed for the rigorous science and math based curriculum required of all midshipmen during their first year. All midshipmen receive a Bachelor of Science, regardless of major selection. I’m one of few national college graduates with an English major in a B.S. program, which means that I studied Romance Literature and Electrical Engineering side by side. Naval Academy selection has never been fully based on “academic achievement,” though average SAT test scores and traditional measures of high school achievement are high at service academies. Prospective students are selected on the basis of a wide range of characteristics, academic and non-academic. The booster year required of many students is not a remedial action. Candidates seen as having great potential to succeed at USNA are sent to boost their academic foundation. Remember, we come from a vast cross-section of society, where academic opportunities (sadly) are not uniform. Personally, I never noticed a quality difference between the prep school midshipmen and the “non-remedial” group…and I’m not just talking about grades…I’m talking about the whole person, which defines success at the academy and in the real world. Since when is a nap required to prevent sleep-deprivation. I haven’t napped since graduating from USNA, and I now maintain the same hours, working a real job. Students stay awake when they are engaged in class, so I’m going to throw this one back in the Professor’s lap. As a freshman at USNA, I was asleep by 10PM and up at 5:30AM. 7 ½ hours of sleep? Sleep deprivation? Granted, plebes have many demands on their time, and I was frequently exhausted from dawn to dusk, non-stop schedule of military duties, athletics and studying…but I don’t remember an active campaign of sleep deprivation to teach me a lesson. We balanced a full day of responsibilities and didn’t have the option to “sleep in,” when we didn’t feel well. All great preparation for the realities of military service. My recollection is that these exceptions were confined to a handful of individuals and nowhere close to the norm that Fleming portrays. Have they done away with the discipline system at USNA? Or the Honor Code? I seem to remember taking this stuff VERY seriously during my years, and seeing few exceptions made for any student. I served on the Honor committee for all four years, and saw very little leniency applied in that regard…if anything, I thought it was applied overzealously. The entire USNA experience is a modeled, leadership laboratory, where you can take as little or as much out as you desire. Some midshipmen failed to see this. Others took a break from it at times (I’m guilty as charged). Most embraced this concept. We all counted the years, months and day…are you kidding me? Who didn’t? Trust me, it’s not because we felt like infants. We felt empowered to start exciting careers in naval aviation, surface warfare, submarines, special warfare, supply corps, medical corps…the list goes ON! I was ready to move on by that point, and with a known destination in sight, I couldn’t wait. This argument holds little merit. Daddy paying for college is not a motivator for academic success. I don’t even need to look up the statistics to refute this fanciful comment. I’ve lost track of the number of people I know who spent a few years in college on Daddy’s dime, only to drop out (and become very successful in many cases). Attending college is the expected and often necessary thing…I didn’t apply to USNA to attend college. I applied so I could serve as an officer in the U.S. Navy or Marine Corps. The college degree happened to be part of that program. The professor is placing way too much emphasis on the midshipman falling asleep in his classes. Not like on active duty! See the trend here. Everything we do at USNA seems to resemble what actually happens in the fleet. The strictest inspection I endured on active duty paled in comparison to the easiest inspections at USNA. This comment by Fleming requires perspective. Even at Parris Island, drill instructors go to extreme lengths to prevent recruit injury. It makes little fiscal sense to injure students. Do they push recruits to the limits deemed necessary to meet the standards of service in the Marine Corps? Absolutely. Those standards are vastly different for the Navy. Furthermore, I would argue that midshipman are given plenty of “time” to exercise on their own and push themselves. I service selected SEALs upon graduation, and based on the standards expected of me in SEAL training, I pushed myself…constantly and unremittingly. My case was very different than most graduates, and therein lies the reality of leaving USNA. Most graduates do not have a Petty Officer to follow them around and scream at them to “hit the surf” and do pushups after graduation. They’re on their own to meet the standards established by the Navy. Guess what? Failing the PRT in the Fleet has serious consequences, and nobody is going to push you to bump up your run time. High performers in what regard? Did that student struggle on this path, or was he a naturally gifted athlete with raw intelligence? We all need a little perspective here to follow your assessment. Performance isn’t simply measured by accolades…or is it, Professor Fleming? I’m starting to detect a highly elitist tone in your article, buried in a weak premise…supported by nothing more than your years of “talking” with disgruntled midshipman who seem to have plenty of free time and choice to linger around Sampson Hall. “One of my students last year was a varsity swimmer, an English honors graduate in the top 5 percent of his class, and the “honor man” (single best performer) in his SEAL class at the famously brutal Basic Underwater Demolition training. That is gorgeous stuff, the ultimate combination of brains and brawn the academies say they produce. But how rare at Annapolis!—or indeed, anywhere. Elitism at its pinnacle! Sorry if not every midshipman is a Rhoades Scholar, triathlete, SEAL honor man, who discovers the cure for cancer on the weekends at USNA. The two you describe as your role model midshipmen are unbelievably exceptional people, but 99% of military leadership doesn’t fall into your mythical notion of outstanding (and never has)…yet somehow, we get the job done…and do it well. This paragraph is unforgiveable. Sorry USNA doesn’t fit the elitist, Ivy League mold necessary to elevate your own status…and apparently isn’t “white” enough for you. Don’t think for one second we didn’t catch your comment about all of the “white” kids who had to sacrifice their places at the academy for less qualified “non-white” kids. Admissions are relatively simple math (not really, but for diversity purposes, it should be). X% women in fleet, X% at USNA. Y% of African-Americans in the fleet, Y% of African-Americans at USNA…and so on, for every other minority, so that the leadership cadre of the fleet best resembles and represents the diversity of our fleet. Fact check 101. ROTC scholarship students receive a monthly stipend that increases with each year of participation, starting at $100 and ending at $400. My $500 “pay” was raided by USNA to pay for uniforms, my computer, books…all of the stuff supposedly paid for by Uncle Sam. I guess it was his money after all. I didn’t see $100 per month until well into my sophomore year…barely then. This is a fantasy statement fueled by the disgruntled few he cares to listen to, or respect (as he stated earlier) and perpetuated by his bias against the military aspects of military training. I think most graduates and midshipmen would not agree with this statement. We all have our moments of doubt at USNA, and I’m one of the most cynical, sarcastic people out there…but I have nothing but the utmost respect for my academy, and all of the academies…just like I have the same respect for anyone leading sailors, marines, airmen and soldiers, regardless of their commissioning source. As an educator, this brought a tear to my eye. Thanks for standing up for the students. They deserve it. Thank you, Julie. My classmates represented such a wide swarth of society, in terms of backgrounds, education, and motivations…all critical to forming the core of leadership necessary to guide and lead our troops on whatever missions handed down from above. This was a solid bunch of young men and women, outstanding in every aspect (not just because the were attending Annapolis) and deserving of way better treatment than what Professor Fleming dished out. I have a hard time reconciling how an employee of USNA can pen such hate filled articles about the institution that provides his paycheck. After being in this organization for over 20 years I can say there are Officers from all commissioning sources on both ends of the spectrum: good and bad, leaders and followers, those that serve only a few years and future Admirals. Maybe one day Fleming will thank them for the protection they provide – protection of his freedom, protection of 1st Amendment rights, and protection of his tenure. The most sickening aspect of the article is his own elitism and the way he tries to camouflage his disdain with his “love and respect for the ideals of the institution.” For someone who has spent 25 years at USNA, his insight into the mind of the midshipman is hopelessly warped. Well said. Thank you for putting this out there. I’m not saying I agree with any of Fleming’s arguments (the fact is I don’t know enough about the academies myself to know either way), but I didn’t read any of it as hate filled or ungratefulness. I think he was looking at things from absurdly critical lenses that as Steve points out where particularly smudged with ignorance and poor argument construction. As a non-faculty higher education administrator, I understand the critical perspective of institutions (my job is continuous improvement so it is a prerequisite), but there is no excuse for being misinformed. I pictured Fleming as Clint Eastwood speaking at an empty chair while I read the article. Thanks for leaving a response from your perspective as an institution administrator. Unlike others, I don’t feel that he should be required to feel grateful for the employment given to him by USNA. He earned that position, along with his tenure. He has a job to do, and he’s a damn good professor. Unfortunately, h falls short in his strange (decades long) attempt to forward this agenda. This is only the latest in a series of letters and opinion pieces, which have their place in open discussion…but will be subject to fact checking and need to hold up to logical scrutiny. His most recent article just falls down on its face in so many regards, that it is hard to pay attention to any of the good ideas that might be buried in narrative. Well formed rebuttal Steve. Prof Fleming absolutely formulates his opinions based solely from the academic point of view. That viewpoint bears little-to-no relevance in the Navy of today, however. Unlike you, I did hear the comment “Ring knocker” quite often in my career. Every time it was said, it was said in surprise as people learned where I went to school. Your retort about prep-schools was spot-on! As a fellow “slacker NAPSter”, I literally did not have the tools to enter the academy directly. That happens when you grow up in rural Nevada and graduate 21 kids in your class. I have served with great (and not-so-great) officers who were ROTC and OCS graduates. One correction for you is that OCS DOES train Line officers. Or at least they did. OTS was for specialized fields like doctors & lawyers. USNA was a great exercise in leadership as you mentioned. I learned who I did want to model (Capt Nicholson) and what was a poor model (6 Batt Officer whose name I forgot, or our first 32nd Co. Officer whose name I won’t mention). Furthermore, it helped me realise that nothing we did was is a vacuum (or Disneyland). Lastly, I find it curious that Prof Fleming’s article had a correction at the end of it stating that 4 years at a service academy counts after 20. I would love to find that tidbit in the MILPERSMAN manual because it just isn’t true. I retire next month at 20.5 years, not 24.5 years. That’s right. You were a “slacker Napster.” I always knew there was something wrong with you…maybe Fleming was right! Just kidding. Thanks for the great reply. You brought back some memories with Captain (now General) Nicholson. Many were abysmal examples of leadership. How about Captain Buckley? Unbelievable. As for the retirement years counting, what he said was that you get the four years tacked onto federal retirement or service. So, I think if you had joined the FBI or some other federal program, and retired from that program at 20, you’d get credit for 24. I seem to remember the reserve recruiters trying to tell me this would be the same for reserve service. I could never get a straight answer, and MILPERSMAN (in it’s old paper format) was only good for kindling.